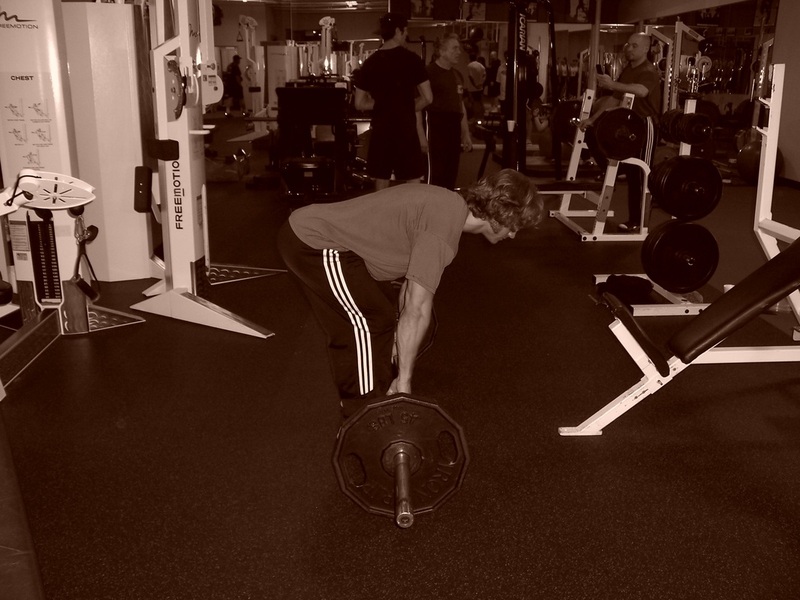 Dallas Personal Trainer - A classic weightlifting exercise that has been used for well over 100 years or longer and is still used by personal trainers throughout the world and in Dallas as well. Many clients are not ready for this exercise however because it requires an extremely strong core/abdominal area and very flexible strong hamstrings (two things that most people do not have). For this reason, it is important to work up to this exercise slowly under the guidance of a very capable personal trainer. Lift a barbell off of a rack at about waist height. Step back and bend forward at the waist, keeping your back straight (it should be slightly arched, not rounded). Your knees should bend slightly forward, so that your legs provide you with a strong base and your lower back does not receive pressure. It is absolutely critical that you keep your abdominal area braced tightly when are bent over with the bar like this. To brace your abdominal area correctly, simply tighten up as you would if someone was about to punch you in the stomach. It is also important that your hamstrings and glutes (the muscles on the back of your thighs and your rear end muscles) stay flexed to support the weight throughout the exercise. If you are holding yourself correctly, you should feel no strain in your lower back. 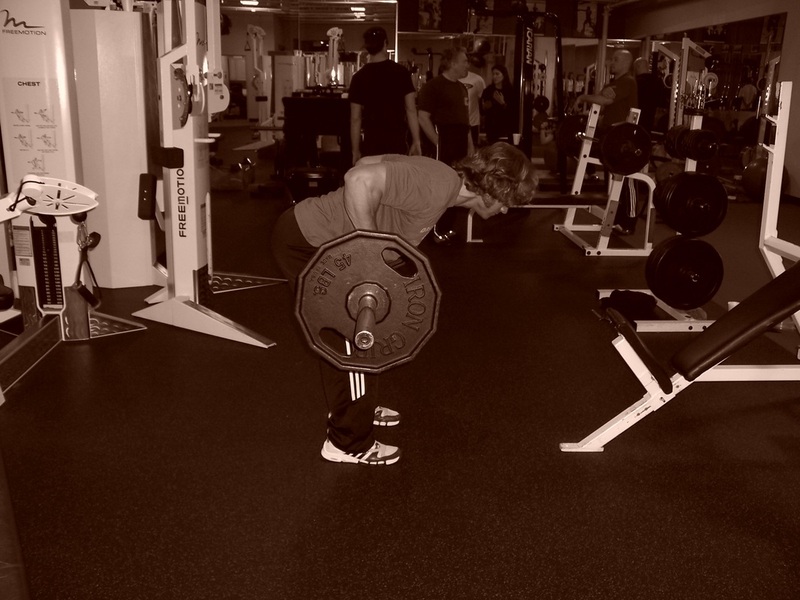 You should feel tightly braced throughout your entire core with your hamstrings and glutes helping you hold the weight. Once you are set, pull the bar toward your abdominal area and then let it back down again to full arms length, but not to the floor. Do not let your lats (your upper back/armpit muscles) relax or loosen at all during the exercise and make sure to keep the bar as close to your body as possible at all times. Relaxing your lats or letting the bar get too far out in front of you at any point during this exercise can cause alot of stress to be placed on your lower back. Also, pausing at the top of the movement can put pressure on your lower back, so after you pull the barbell to your abdomen, let it back down immediately without trying to stop the motion at the top. Stay in control, keep your core tight, and make sure that you do not use your lower back muscles to assist in pulling the bar up.